Are you fine with Luke being your coach—do you like him as a coach? is the softballest of softball questions. It is designed to get Lonzo to answer in the affirmative and say something positive about Luke Walton. 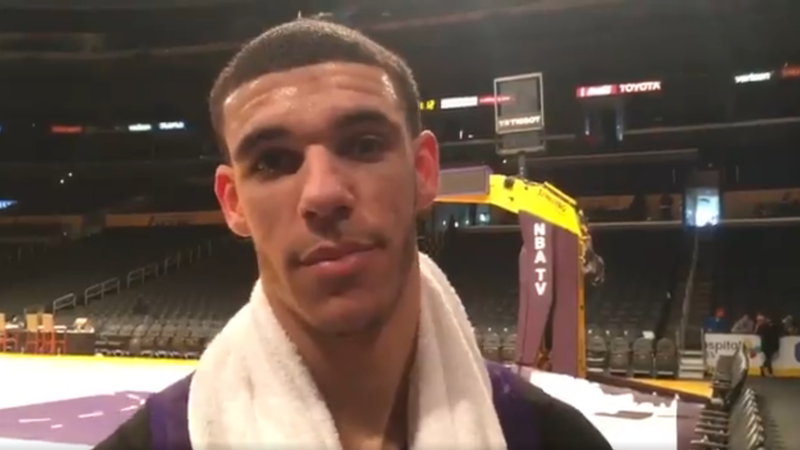 Instead of doing that, Lonzo answered with “I’ll play for anybody” and “our job is to play basketball, I don’t decide who coaches.” If you are among those who are waiting or hoping for Lonzo to actively distance himself from LaVar’s routine, this is definitely not that.